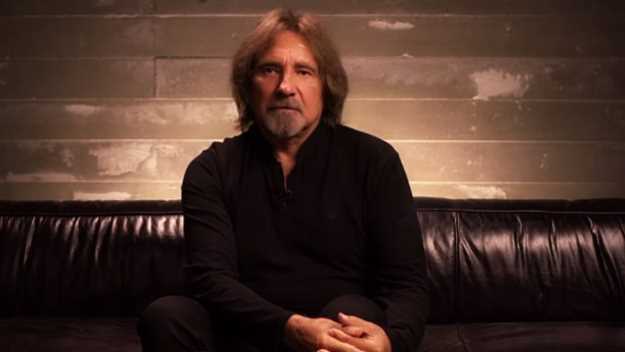 BLACK SABBATH bassist Geezer Butler is the latest celebrity honored on the Broad Street Walk Of Stars in Birmingham, England. He was awarded this past Saturday (February 3) during the half-time break in the Aston Villa vs. Burton Albion match. Geezer was presented with the honor by Lord Mayor of Birmingham Anne Underwood. Butler's BLACK SABBATH bandmate Tony Iommi attended the event and joined Geezer and Anne for a photo. Iommi wrote on his Facebook page: "I was so pleased to see my dear friend Geezer Butler last night and to finally see him joining myself and Ozzy [Osbourne] on Broad St Walk Of Stars in Birmingham. He received his award on the pitch of his favourite football team Aston Villa. Congratulations Geez!" Speaking to the Birmingham Mail last week, Geezer said he was nervous about receiving the honor. "Usually, you are there with the whole band," he explained. "But this is just for me — and that's different. I'm not used to it, so the presentation has been on and off for years. I've had to take some anxiety pills this week. "I was quite outgoing as a kid, but the older I get, the more introverted I seem to have become. I never thought I would get the courage to say I would come and be able to do it but, in the end, I got fed up of refusing it and plucked up the courage to say, 'Yes!'" February 3 marked 50 years year since SABBATH played its first gig together in the city of Birmingham and came exactly 12 months since the band's last-ever show in the city. The Broad Street Walk Of Stars is a walk of fame-style installation on the pedestrian pavement of Broad Street in Birmingham, which honors those people who have made a significant contribution in the categories of music, television, film, radio, theatre, sport, business and literacy. The criteria for nomination is that the living star(s) must have made a recognizable impact in their specialist category and performed at one of Birmingham’s major venues, including the International Convention Centre (ICC), National Indoor Arena (NIA), Symphony Hall and The REP theatre, or be originally from the area or have prominent links with Birmingham and the Midlands. Both Osbourne and Iommi were previously honored with a star. Ozzy got the nod on July 6, 2007, while Tony became the eighth recipient on November 23, 2008. Walk Of Stars chairman Jasper Carrott said: "Geezer is a very good guy, very principled and someone who cares about people who are not well off. His heart in the right place." A founding member of BLACK SABBATH, Butler is also the lyricist of such SABBATH classics as "War Pigs", "Iron Man", "Paranoid" and others. Butler, Osbourne and Iommi reunited in late 2011 and released a comeback album, "13", in June 2013.